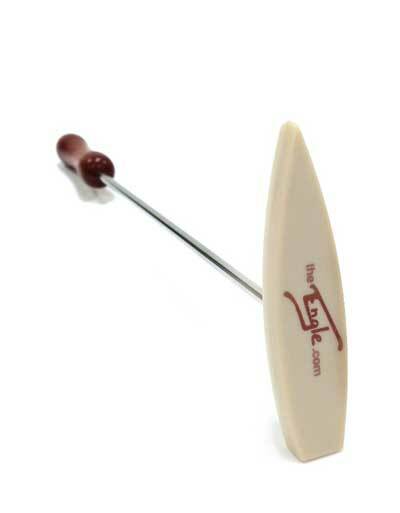 The Engle is a unique device used on the guitar similar to a hammer on a piano string. Create harmonics, picking variations, strumming tones and slides anywhere your imagine takes you. Held by the cherry wood handle, you design your sound with specially weighted and molded plastic mallet end.